It was nearing the holiday season, 1994, time for our orphans to hear, for the first time, the traditional story of Christmas. We told them about Mary and Joseph arriving in Bethlehem. Finding no room in the inn, the couple went to a stable, where the baby Jesus was born and placed in a manger. Throughout the story, the children and orphanage staff sat in amazement as they listened. Some sat on the edges of their stools, trying to grasp every word. Completing the story, we gave the children three small pieces of cardboard to make a crude manger. Each child was given a small paper square, cut from yellow napkins I had brought with me. No colored paper was available in the city. Following instructions, the children tore the paper and carefully laid strips in the manger for straw. Small squares of flannel, cut from a worn-out nightgown an American lady was throwing away as she left Russia, were used for the baby's blanket. A doll-like baby was cut from tan felt we had brought from the United States. The orphans were busy assembling their manger as I walked among them to see if they needed any help. All went well until I got to one table where little Misha sat. He looked to be about 6 years old and had finished his project. As I looked at the little boy's manger, I was startled to see not one, but two babies in the manger. Quickly, I called for the translator to ask the lad why there were two babies in the manger. 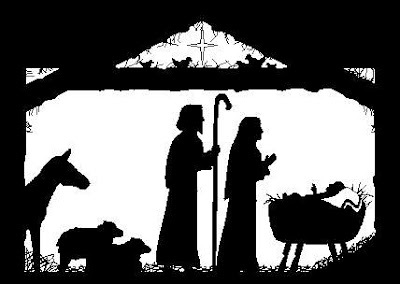 Crossing his arms in front of him and looking at this completed manger scene, the child began to repeat the story very seriously. For such a young boy, who had only heard the Christmas story once, he related the happenings accurately -- until he came to the part where Mary put the baby Jesus in the manger. Then Misha started to ad-lib. He made up his own ending to the story as he said, "And when Maria laid the baby in the manger, Jesus looked at me and asked me if I had a place to stay. I told him I have no mamma and I have no papa, so I don't have any place to stay. Then Jesus told me I could stay with him. But I told him I couldn't, because I didn't have a gift to give him like everybody else did. But I wanted to stay with Jesus so much, so I thought about what I had that maybe I could use for a gift. I thought maybe if I kept him warm, that would be a good gift. So I asked Jesus, 'If I keep you warm, will that be a good enough gift?' And Jesus told me, 'If you keep me warm, that will be the best gift anybody ever gave me.' So I got into the manger, and then Jesus looked at me and he told me I could stay with him -- for always." As little Misha finished his story, his eyes brimmed full of tears that splashed down his little cheeks. Putting his hand over his face, his head dropped to the table and his shoulders shook as he sobbed and sobbed. The little orphan had found someone who would never abandon nor abuse him, someone who would stay with him FOR ALWAYS. I've learned that it's not what you have in your life, but who you have in your life that counts.